Holiday Sale and Open House! 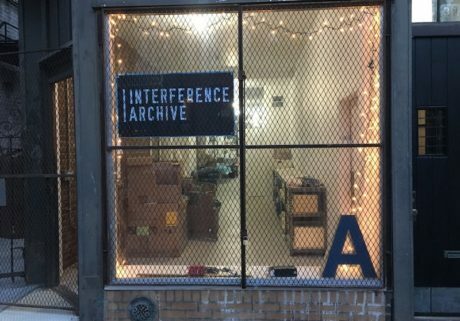 Join us in our new home as we celebrate the amazing space our archive has moved into, and take a moment to pick up some holiday gifts! 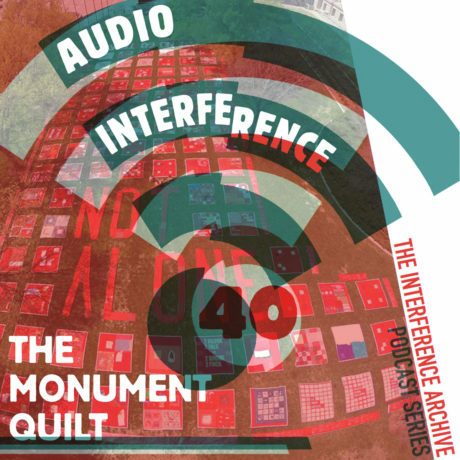 In addition to all your favorite Interference Archive merchandise and a great table of comics and zines, our friends from Justseeds and Common Notions will be joining us to sell prints and books. In the midst of our big move over the past few months, we’ve been keeping busy with a few other great projects — including the release of two new publications! 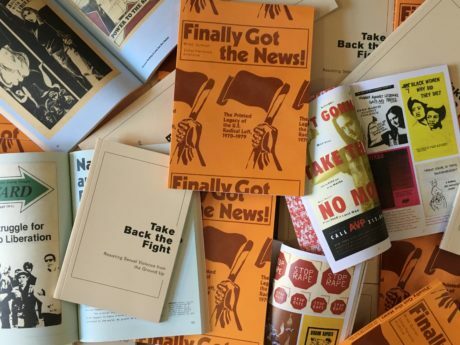 Join us for the launch of Finally Got the News: The Printed Legacy of the U.S. 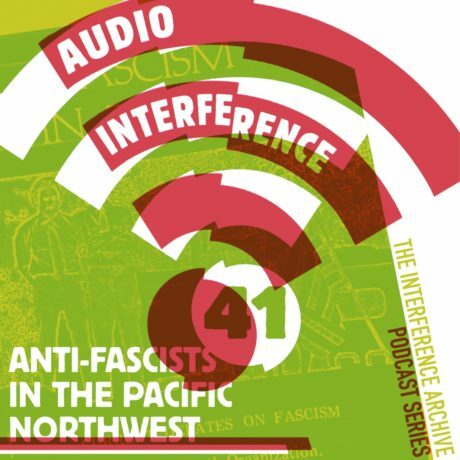 Radical Left, 1970-1979, and Take Back the Fight: Resisting Sexual Violence from the Ground Up. 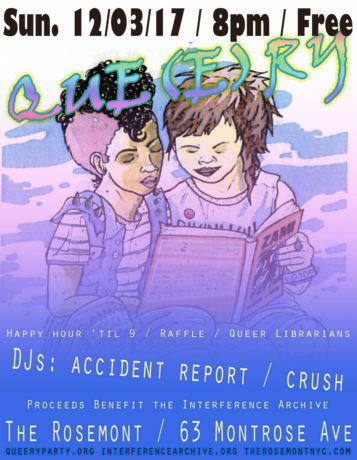 Our friends at Que(e)ry and Libraries Resist are throwing us a fundraiser dance party on Sunday December 3rd. Come out and dance to DJ Accident Report and DJ Crush. There will also be a raffle! Take Back the Fight exhibition catalogue is here! 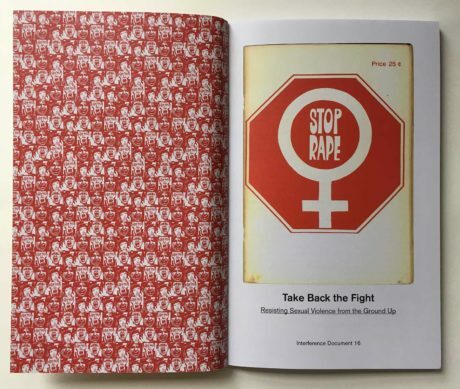 We’re excited to announce that the catalogue of our current exhibition, Take Back the Fight: Resisting Sexual Violence from the Ground Up, is here. Stay tuned for more details about an opening event and catalogue launch! In a review of the Met Breuer’s Delirious: Art at the Limits of Reason, 1950-1980, Emily Watlington convincingly argues that our “delirious times” call for responsively delirious curation. As buzzing news alerts stoke excess trauma through an ascendant reactionary (neo-) conservatism, such a call is not off-mark. However, Evonne M. Davis provides a stellar curatorial counterpoint with the exhibition Resistance Across Time: Interference Archive at the Paul Robeson Galleries at Express Newark. 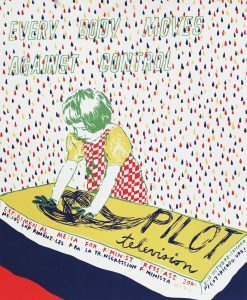 The show presents a chronological parsing of social activism—with keen attention to feminisms from various historical moments and locations—via a selection of posters from Brooklyn’s Interference Archive. 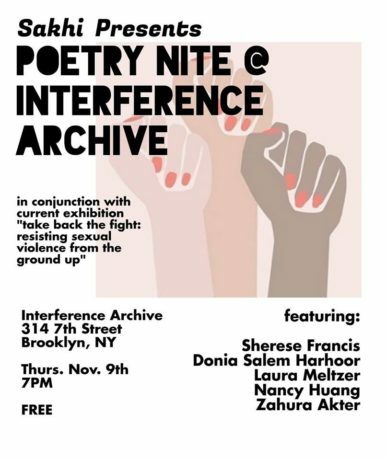 Join gender justice organization Sakhi for South Asian Women for a poetry reading on 11/9 at Interference Archive, in their new space!